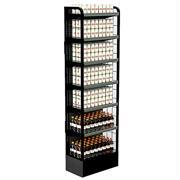 The Intelli-System (Intelli-Roller and Intelli-Glide) accommodates an infinite combination of short and tall single serve and multi-pack configurations on a single shelf. 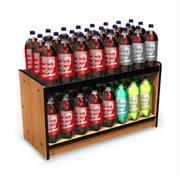 Adjustable dividers are detached from the clear product stop to provide a better view of branded packaging. 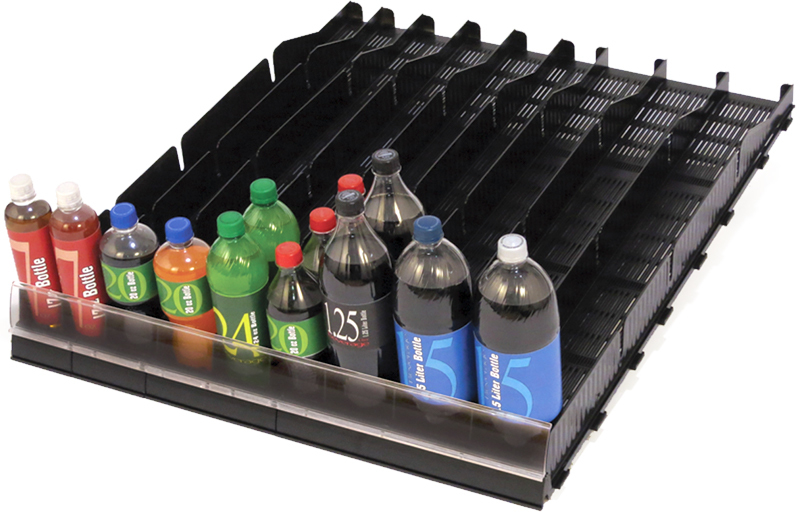 The one piece product stop is available in three sizes to prevent unconventional tall and short packaging from tipping over. 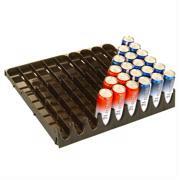 Intelli-Roller is designed with a unique roller technology to ensure paperboard and dairy packaging consistently font as product is shopped. 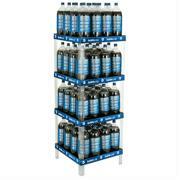 Roller and glide solution for beverages and beyond. 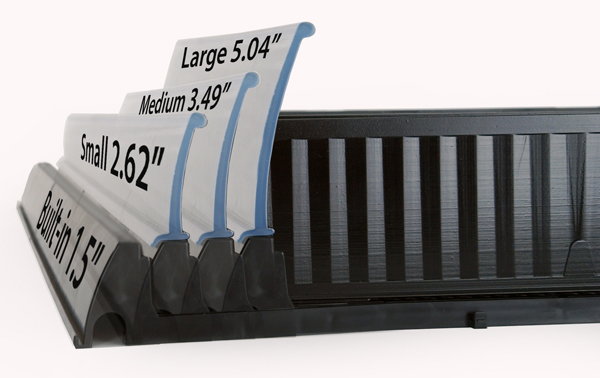 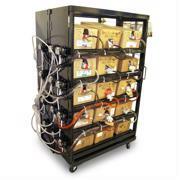 Gravity feed problematic packages with one consistent look across your cooler doors. 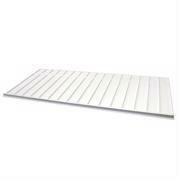 Intelli-Roller's roller floor technology ensures stubborn products such as paperboard always seek open facings. 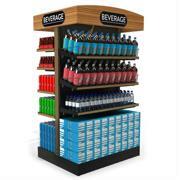 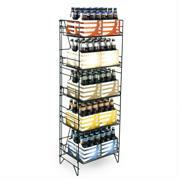 Adjustable dividers allow for endless pack-out combinations to be merchandised on one shelf for optimal merchandising space. 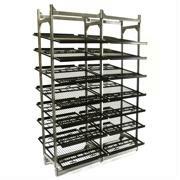 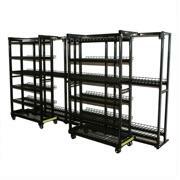 Multiple divider-floor connectivity points prevent disorderly product arrangement and dividers from splaying. 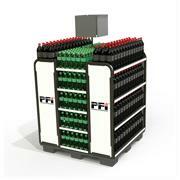 Intelli-Glide's innovative glide floor ensures bottles stay fronted. 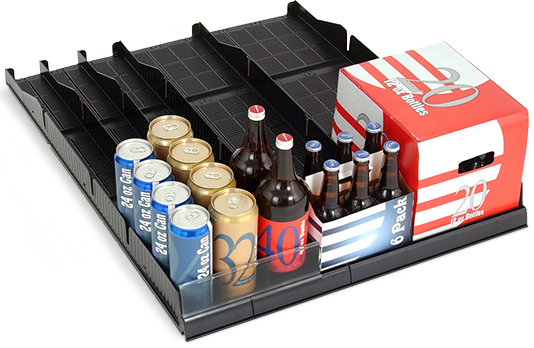 Add-on innumerable sections to maximize most any shelf width. 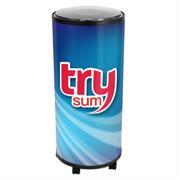 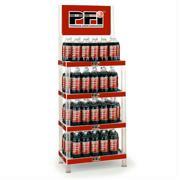 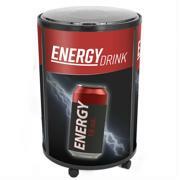 Patented clear front product stop provides an unobstructed view of branded packaging while keeping product upright. 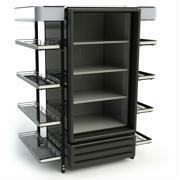 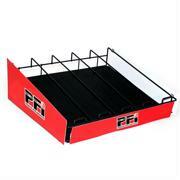 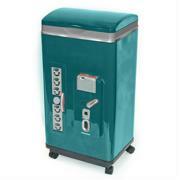 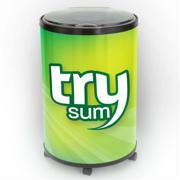 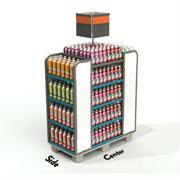 4 product stops available to accommodate any size package.